Rogoz Audio stands are designed for top quality audio components. They are tuned by special blending of alloy steel and high carbon content steel. High-precision leveling is achieved by means of adjustable anti-vibration spikes. To satisfy our customer’s needs, we can modify our stands according to individual requests. It is possible to alter the frame size and color and select a different kind of shelves. 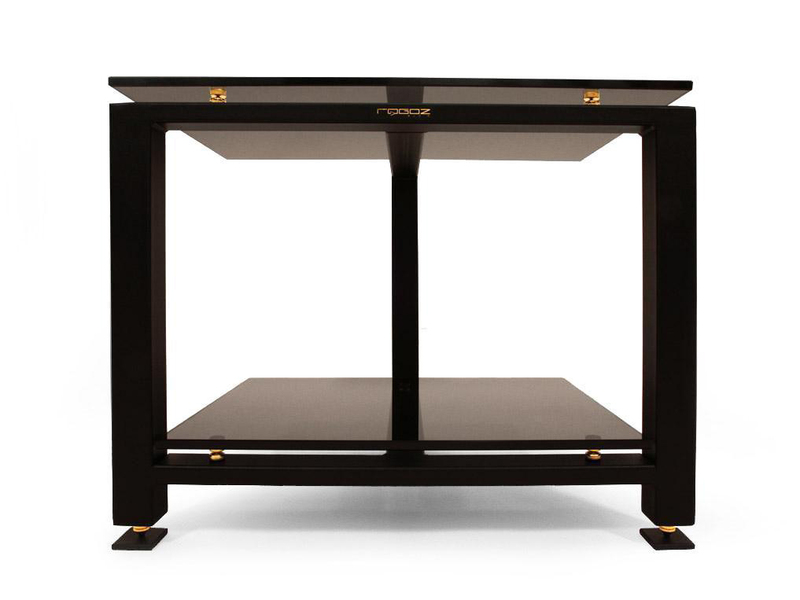 Rogoz Audio manufactures made-to-order audio furniture: audio stands, speaker stands, and anti-vibration platforms, as well as acoustic systems. Their products are aimed primarily at audiophiles, music lovers, and music business professionals, as well as all those who appreciate high quality sound and design. A unique feature of Rogoz is extreme flexibility. Their design allows for certain modifications, so each product is manufactured on a made-to-order basis. You can choose, for example, the kind of an audio stand top you like, along with construction and design features to satisfy your individual needs. As a result, your furniture will be suitable for the size of your audio equipment, and it will match the décor of your interior. It also will reflect your personal taste. Rogoz’s ultimate goal is creating products to eliminate interference between audio components to make it possible for every audio system to reach its maximum effectiveness, allowing you to enjoy the best possible sound quality. Rogoz Audio products have been appreciated by audio professionals as well as individual customers. Positive influence of Rogoz furniture on sound has been confirmed by audio test results (“Hi-Fi Choice” 7-8/2010,Audio 9/2010, “High Fidelity” 89/2011, “Hi-Fi Choice” 6/2010 – the audio stand tested ranked highest in all categories: sound, properties, construction and design, quality/price, as well as the best buy label). To conclude our encounter with Rogoz Audio products, we have to admit that we have seen, or rather heard, for ourselves what seems obvious, and yet is often ignored by music lovers. Sometimes instead of investing endlessly in more and more expensive amplifiers, sources, or cables, it is worthwile to secure a solid base for your equipment and good room acoustics. […] The resulting investment stays for many years to come, regardless of changes in the combination of audio components, and secondly, it ensures that your equipment, even extra heavy, is secure. Finally, there is less doubt why something does not sound quite like it did in the showroom or at a friend’s place, for instance; now the cause will certainly not be room acoustics or an audio stand picking up floor vibrations. Hear Rogoz at Command Performance today!